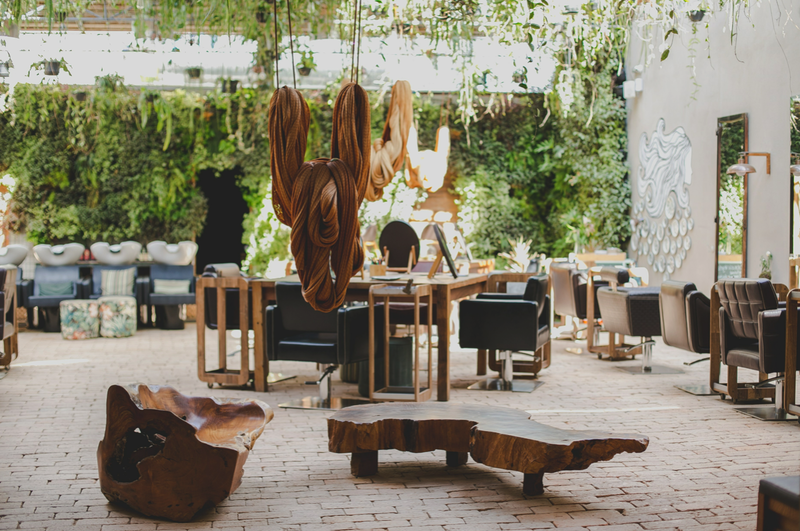 How can Brands Express Wholeness, Being and Soul? 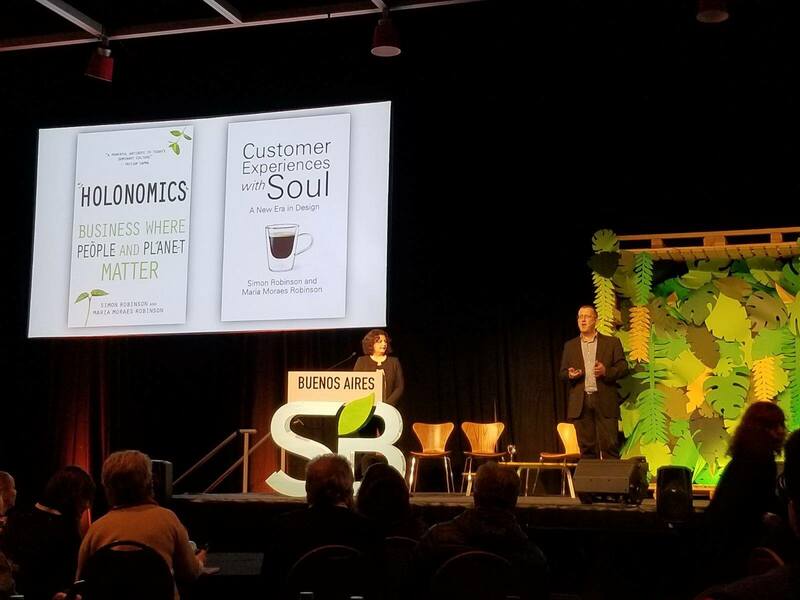 Last month Maria and I gave a presentation at Sustainable Brands Buenos Aires about both Customer Experiences with Soul and our first book Holonomics: Business Where People and Planet Matter. It was a very deep talk, examining wholeness in our lived experience, and then introducing the holonomic circle, our new tool which is helping brands and organisations design customer experiences which fully articulate soul. It was a very amazing experience for us, as this was the first time we had been asked to present both the dynamics of seeing, wholeness, and human values of Holonomics, jointly with the holonomic circle and our Customer Experiences with Soul framework. We started our talk by discussing the dynamic conception of wholeness, and this includes understanding systems in relation to the whole and the parts, the one and the many, and identity and difference. While these may seem like philosophical concepts, as I was at pains to point out, Maria and I discussed these in order to expose people to the thinking of designers, their consciousness, their awareness of how we experience phenomena, and their level of mastery. This is different to the way in which some people discuss Design Thinking, which more often than not does not go beyond the methodologies and processes of design. 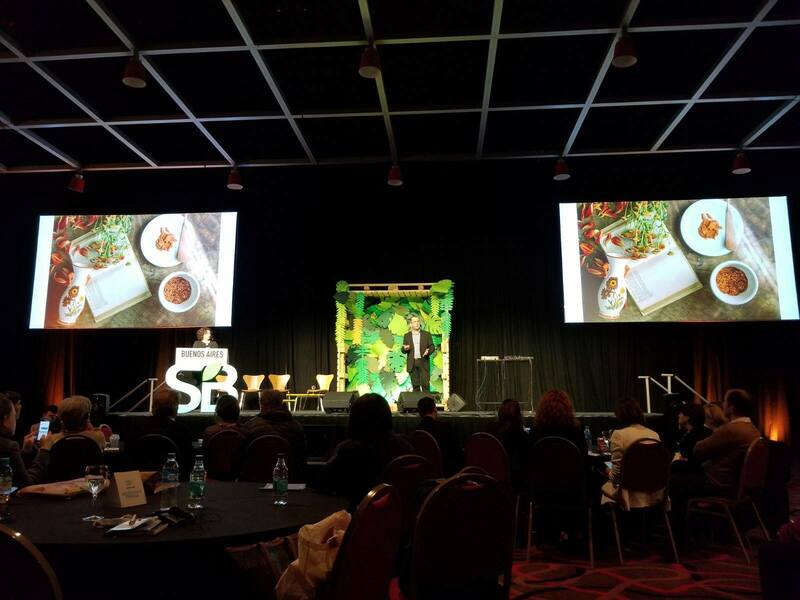 Our work is extremely profound, and in order to help people understand what our framework looks like in practice, we chose the hair spa Laces from São Paulo, Brazil as an example of a company which fully embodies soul in their customer experience. We talked about the visionary design approach of Cris Dios, the founder of Laces, and we discussed a number of their products, looking at how their organic and natural products and the sustainable technologies which they are championing have been integrated into their spas, creating a unified customer experience. Our talk also included a discussion on being and soul, and the way in which Laces invest a huge amount of time, effort and resources in their training and development programmes, and also support the families of their professionals as well. Great companies are the ones which create customer experiences with soul. The mark of an exceptional designer, entrepreneur or leader is the way in which they are able to both conceive and connect with the soul of their organisations and understand the way in which it is expressed through each and every part. This is a level of mastery which understands wholeness as a dynamic relationship between the parts and the whole, allowing them to create living, authentic brands. In order to explore this theme further, I thought I would share a couple of extracts from Holonomics which describes this dynamic conception of wholeness in more detail. When we study the history of science, we find that, in each era, scientists and philosophers have struggled to take on board new conceptual ways of thinking. Eventually, though, these new ways of thinking are adopted, perhaps only after a previous generation of scientists in prominent positions have either retired or died, enabling a new generation of younger scientists, unencumbered with the old ways of thinking, to make their mark. The business world, though, can still be seen to be stuck in a mechanistic clockwork world. When we study the history of science, by understanding the thinking processes of the scientists (and not just the actual science), we can gain a lot by learning how to develop powerful new ways of thinking. This is something that business leaders almost never do. While new ideas and methodologies are published each year, very few challenge us to really examine in a profound way our ways of thinking. However, this is a double-edged sword, in that while science is in one way exemplary in its ability to think creatively and intuitively, when we study the history of science we find many surprising aspects. We begin to understand that the greatest influence on most of our thinking comes from ancient Greece, from Plato and Aristotle – or, rather, misconceptions by teachers and experts of what they thought Plato and Aristotle were teaching. Science is never quite as objectively pure as perhaps its practitioners would like us to imagine, with the social and economic orders of the times impacting on the world view and mental models of the scientist. Science is often more like politics in terms of it being based on building consensus at the expense of truly gifted thinkers with new insights, and the need to stay within the prevailing status quo in order not to rock the boat that funds the scientific establishments. There are a number of ways of referring to a whole. Plato used the concept of ‘the One’. The word ‘holism’ was coined by Jan Smuts, a South African philosopher, who became President of South Africa. He defined it as ‘the fundamental factor operative towards the creation of wholes in the universe’. For Smuts, both an animal or a plant could be taken as a type of whole, whose functioning could only be understood holistically, the whole being in the parts and the parts in the whole. Interestingly, Smuts had been influenced by Einstein, and although Einstein would later endorse Smuts’s work in correspondence between them, the term was not generally adopted. The word ‘holistic’ was introduced in the early 1970s, in California, in the work of Roger Sperry, winner of a Nobel prize for his work in brain physiology and the processes involved in thinking. The term was popularised by his colleague Robert E. Ornstein, in his book The Psychology of Consciousness. While this was interesting, the work was perhaps hijacked by the New Age movement, where the right brain (emotion) was seen as holistic and feminine, and the left side (rationality) was analytical and male. The word ‘holistic’ was also absorbed into New Age philosophies relating to mind, body and spirit, and because of this it now has negative connotations for many in the scientific community. While many neuroscientists have given up talking about the divided brain, psychiatrist Iain McGilchrist provides an important and revitalised analysis. He has reviewed the evolution of the brain in birds, animals and humans, and feels that there is something extremely significant in the asymmetrical divisions in the brain, particularly in the corpus callosum, whose most important function could well be to keep the two sides of the brain separate. McGilchrist argues that it is our frontal lobes which separate humans from birds and animals, the function of which is to inhibit the rest of the brain. This results in an ability to distance ourselves from the world, to take a step back from reality, thus enabling two things. On the one hand it can lead to Machiavellian thoughts and actions, where we can determine the thoughts and intentions of others, and so allow us to deceive. But, on the other hand, it can also lead us to empathise with others too, seeing them as people who might turn out to share the same interests, values and feelings as ourselves. We do need to manipulate the world, to be able to grasp, hold and use tools, but the trap for us is that this form of attention leads to a restricted view of reality, where we only utilise that information which is of use to us in the tasks we are carrying out. The world as comprehended by the right hemisphere is entirely different. It sees things in context and understands implicit meaning, metaphor, body language, and emotional expression in the face. As McGilchrist puts it, the right hemisphere ‘has a disposition for the living’, unlike the left hemisphere, which is dependent on denotative language and abstraction, yielding clarity, and the power to manipulate things which are ‘known, fixed, static, isolated, decontextualised, explicit, general in nature, but ultimately lifeless’. The problem for humanity, as McGilchrist sees it, is that society has become dominated by the left hemisphere’s mode of conceiving the world, and this has led to us living lives of great paradox, where, in our pursuit of happiness, we have become deeply unhappy. Our pursuit of freedom in western societies has led us to lives of intense intrusion and surveillance, lives dominated by obscure and complex rules and laws. We have information coming out of our ears, but we are less and less able to use it, having lost all sight of wisdom, awareness and knowledge of the whole. Thus, in McGilchrist’s view, we are victims of the feedback loops in the left hemisphere’s way of thinking and knowing. It throws out any information that does not appear to fit into its world view. It can be likened to a corrupt military-industrial complex, controlling the media, which has shut out the voices and gentle animistic wisdom of our indigenous people from society. The left hemisphere is vocal, whereas the right hemisphere lacks a voice; and so our modern society, McGilchrist suggests, is a perfect reflection of the world according to the left hemisphere alone. Holism puts the study of wholes before that of the parts. It does not try to break down organisations into parts in order to understand them and intervene in them. It concentrates its attention instead at the organisational level and on ensuring that the parts are functioning and are related properly together so that they serve the purposes of the whole (emphasis added). This is not holonomic thinking, where neither the whole nor the parts have primacy. Like Jackson, we will be exploring mental models and how they affect out thinking. Whereas Jackson’s approach is to build on metaphors and paradigms, we will be suggesting that new paradigms may well hinder the intuitive understanding of organic systems. In a holonomic mode of thinking, problems are not only addressed via the thinking, analytical mind, but from a more holistic consciousness. In order to help understand and appreciate why, we have to examine what Henri Bortoft described as ‘the unnoticed revolution’, the biggest European philosophical movement of the twentieth century – phenomenology. Phenomenology is a philosophical movement the aim of which is to enquire into the nature of ‘lived experience’. This definition immediately raises the problem of what is lived experience, since it can be interpreted both in the present tense – experience as it is lived in the now – or interpreted in the past tense, where the word ‘lived’ suggests experience which has already been lived. Phenomenology began with Edmund Husserl (1859–1938) at the very start of the twentieth century, and was then developed by Martin Heidegger (1889–1976), culminating in his work Being and Time. It was also developed in France by existentialist philosopher Jean-Paul Sartre (1905–1980) and Maurice Merleau-Ponty (1908–1961), who was interested in the role the body played in cognition, perception and human experience. Phenomenology should not be confused with the previous century’s introspection which was attempting to explain cognition and thinking. The main insight from phenomenology is that lived experience – our experience of life as it is lived in our consciousness – escapes from both our common sense understanding of experience and scientific understandings of experience. Both of these are based in our deeply rooted mental models of the world, and the way in which we think about perception. As Francis Varela said, ‘The blind spot of contemporary science is experience’. The work of phenomenologist Henri Bortoft deserves a special mention. He is best known for his teachings on the scientific consciousness of Johann Wolfgang von Goethe, and his concept of ‘authentic wholeness’ which Henri felt countered a form of ‘counterfeit wholeness’ found in General Systems Theory. Henri built on these themes with his final work on phenomenology and hermeneutics, Taking Appearance Seriously: The Dynamic Way of Seeing in Goethe and European Thought, which was written in such a way as to lead the reader into what he termed ‘the dynamic way of seeing’. The importance of Henri’s work on the dynamics of seeing in management and economics has been acknowledged by a number of authors such as Otto Scharmer in Theory U, by Peter Senge and colleagues in the book Presence: Exploring Profound Change in People, Organisations and Society, and by H. Thomas Johnson and Anders Bröms in Profit Beyond Measure. Henri’s influence can also be found in the phenomenological approach to the environment and architecture in the work of Ingrid Stefanovic and David Seamon. In the 1950s, Henri worked on the problem of wholeness in quantum physics as a PhD student under David Bohm at Birkbeck College, who first introduced Henri to new ways of thinking about wholeness. Henri also worked with J. G. Bennett, who in the 1960s created ISERG (Integral Science Research Group), of which Henri was a member. Much of this work consisted in developing the new discipline of systems theory, and in 1971 Bennett inaugurated the International Academy for Continuous Education, where Henri was invited to teach. Having begun his career in quantum physics, Henri was now applying this new way of thinking in organisations, focusing on discovering new educational methods in business. It was Bohm’s interest in the hologram that would inspire Henri’s work on the perception of wholeness in organisations. The laser had been invented in the 1950s, so in the 1960s holograms were new. Although holograms today are manufactured using a different process, they were originally created using holographic plates. The key characteristic of these types of plate was that if they were broken into parts, the holographic image as seen by a person was still whole. For example, if the image was that of a horse, and the plate was broken in two, you would still be able to see the original and whole horse on both plates. This led Henri and a few other researchers to begin to contemplate the perceptions of organisations in a holographic manner, and not via that of the General Systems Theory, a methodology which Henri described as leading to concepts of ‘counterfeit wholeness’, an incorrect perception of what exactly the whole organisation is. One of Henri’s projects was to undertake an attitude survey in the company J. Lyons & Co., at the time a huge British food and restaurant chain, which in 1947 was the first company in the world to introduce computers, previously seen as tools only for scientists and not managers. Because of this prevalent view, they had been forced to create their own computer. The company now wanted to utilise computers as a management information tool across the entire company, and therefore Henri and his colleagues were asked to conduct an attitude survey to aid this project. Their key insight was based on their holographic thinking, seeing each person within the organisation as a part of the holographic plate, whereby, to some degree or other, the whole organisation ‘came to presence’ in each and every member of staff. That meant conducting surveys with people from every single department and level of the organisation, and then reporting the findings back in a matrix format. In saying that the whole organisation ‘comes to presence’ in each person, we begin to realise that the concept of the whole organisation cannot be written down – it cannot be described in a diagram, and we can neither touch nor point to the whole organisation. It is not an object as we normally think of them, either solid or abstract. General Systems Theory views the organisation in terms of its separate parts. The analyst following this paradigm makes observations, and then describes the organisation in terms of a systems diagram, where the relationship between each of the parts is formalised as an external relationship as perceived by the analyst. But, for Henri, the analyst has not captured the whole organisation. What they have described is a ‘counterfeit whole’. The reason for it being counterfeit is that what seems like a holistic methodology is in fact a subtle form of reductionism, and the system which has been described is counterfeit because the whole dominates the parts, a form of totalitarianism. The whole in this instance, because it has been articulated in a diagram, acts more like a ‘super-part’ to which all other parts are subordinate. If we contemplate a hologram, we can begin to understand the relationship between the whole and the parts in a new way. In a hologram, neither the whole nor the parts dominate each other. You cannot analyse a hologram in either a bottom-up or a top-down manner. The whole is dependent on the parts in order to come to ‘presence’, and the parts depend on the whole in order to gain their identity as meaningful parts in a larger system. However, you also need to consider another aspect of the hologram, which is the ability to be broken up into parts, but still remain whole. When we think of solid objects, our logic, or our common sense way of thinking about the world, tells us that we cannot break up an object into parts, and it still remains whole. This is a contradiction. If we think about a photograph of a horse, which we were to then cut in two, we would end up with two pictures, each depicting half a horse, rather than a whole one. The trick with the hologram is that it is an aid that leads us to a new way of thinking; and when we think about the two holographic plates, and the fact that two images of horses can be seen on them, we realise that the images of the horses are one and the same. So here we have an essential difference between Henri’s understanding of the whole and the parts, and the General Systems Theory view of the parts and the whole. With the systems theory, you take a step back in order to see the whole, whereas for Henri, you can gain an intuition or feeling of the whole by going into the parts, such as looking into the attitudes and opinions of each and every employee and recognising that they are embodied or expressed in some way by some aspect of the whole organisation.